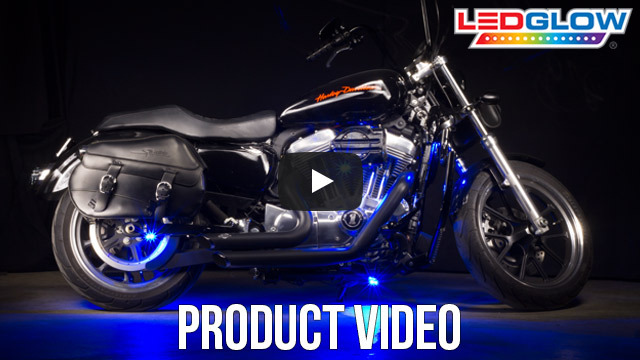 LEDGlow’s Blue LED Pod Lighting Kit adds a stylish solid blue glow to your motorcycle using 8 small pod lights featuring 5 ultra-bright blue SMD LEDs per pod light. Each pod is waterproof and can be connected to any 12 volt power source. LEDGlow's Blue SMD LED Pod Lighting Kits add custom blue accent lighting to your motorcycle or ATV at an affordable price. Each pod features 5 SMD LEDs, and the featured SMD LEDs allow for a lower profile pod that is only .30" thick, as well as adding a crisp and vibrant blue color to your bike. Each pod features a modular connector that lets you power this kit with either a control box, on/off switch, or by simply connecting it to any 12 volt power source. Each waterproof LED pod includes 3' of power wire, 3M tape, and mounting screws for a quick and easy install. 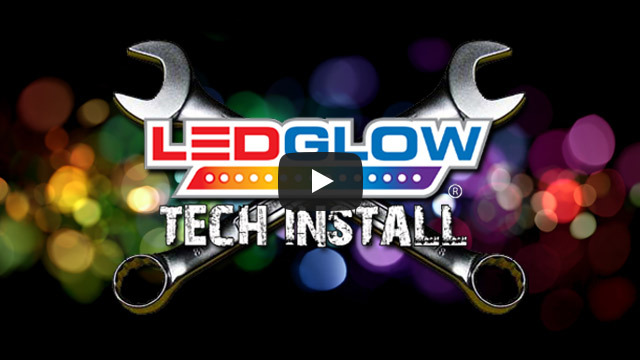 LEDGlow includes a one year limited warranty and free technical support with every Blue SMD LED Pod Lighting Kit. amazing lights, nice and bright! took me a while to find good spots for them but they really lit up when all hooked together. wires are a lil to short but i made it work. you need to figure out a way to hook them up to the battery without them being on all the time, i used a plug that i spliced into the wires. awesome lights, get some!